A blog may be essentially an online journal displayed in reverse chronological order but it is also a website which requires the same attention to detail any other website requires. It also requires the same design elements as a regular website which does not also function as a blog. Bloggers have decisions to make regarding design elements of the blog such as colors and layout, fonts and the inclusion of advertisements. Although many blog software programs provide a variety of templates which make designing a blog rather simple, blogs can also be highly customized by bloggers who possess some programming skills. This article will discuss some of the basic design considerations bloggers encounter. The colors and layout of a blog is one of the most obvious design considerations bloggers must consider when starting or re-designing their blog. Bloggers may use a solid color background, blocks of different colors in the background or pictures or textures in the background. These background elements can be any color imaginable. However, bloggers who are considering the colors to use in their blog should consider using colors which will be aesthetically appealing to most blog visitors. This is important because the use of garish colors which are harsh on the eye can result in diminished blog traffic. 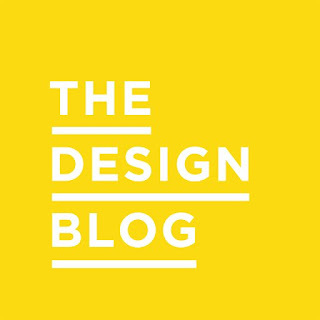 The layout of the blog should also carefully be considered by the blogger. The blog should be arranged in a fashion which is appealing to blog visitors, suits the subject of the blog and is presented in a logical manner which is easy for visitors to follow. Again, this is important because failure to use a layout which meets these criteria may result in blog visitors choosing not to visit the blog anymore because the layout is confusing or unappealing. Bloggers have a number of options available to them when selecting fonts to use in their blog. These options include the font chosen, the text size and the color of the text. Bloggers should consider choosing a font which works well with the overall design of the layout of the blog and suits the subject matter of the blog but also is a font which common. This is important because blog visitors may have trouble viewing the font if the blogger selects a unique font which is not common. The text size and colors of the text should also be carefully considered. These elements are primarily important for readability. Text size should be set so members of the target audience can easily read the text. For example a blogger with senior citizens as the target audience may opt to use a text size slightly larger than usual. The colors used for the text should also be selected to enhance readability. One way to do this is to select colors which are appealing to the eye but also contrast with the background color. Bloggers must also consider the inclusion of advertisements when they are designing their blogs. This includes determining whether or not to include blogs. Once this decision is made, bloggers who opt to include advertisements must carefully consider how and where they wish to display these advertisements. Advertisements can be displayed in various locations throughout the blog and can be designed to be discrete or obvious depending on the preferences of the blogger. Advertisements can also be a variety of sizes and shapes and are highly customizable in a number of different ways.